I don't remember exactly how I came across this heartbreaking story (I think through a friend, or maybe just through Instagram) but it has touched my heart and I wanted to share it here. I won't share the story in detail (I'll let you read about it on your own here), but to give you an idea, there was a precious little girl named Kylie who was diagnosed with stage 4 Neuroblastoma at 18 months old, and she recently lost her battle. My heart aches for this family, and there haven't been many days that have gone by that I haven't thought about or prayed for them. 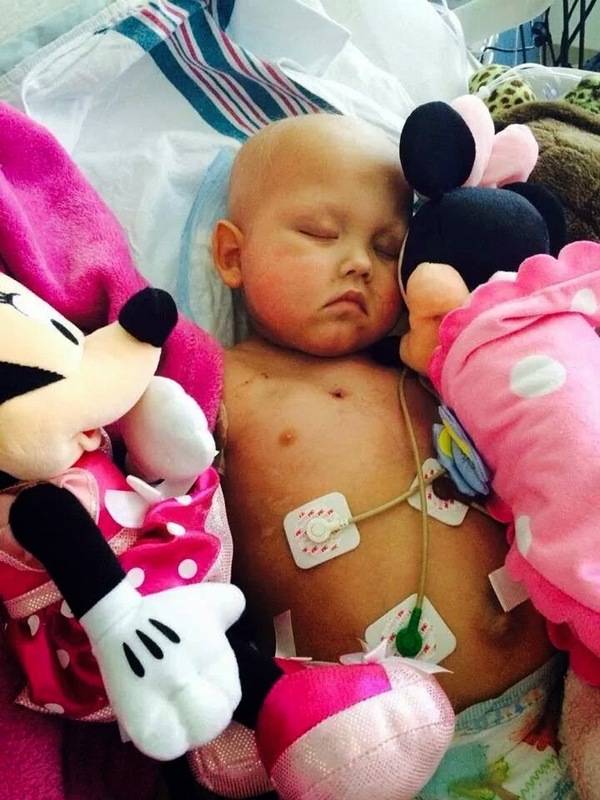 I didn't know this family, and will likely never meet them, but this little fighter and her parents touched my heart. I am so blessed and grateful for my sweet Saydee, and her good health. Kylie and her battle brought me an entirely new outlook on life, and the way I see my role as a mother. Every single day is so precious and never guaranteed. I pray for strength for this family and that they may one day find peace through this sad, terrible journey they are enduring. Eric and I have donated an awesome, rare pair of autographed cleats to an Instagram auction that will be going on to raise funds for the Rowand family. PLEASE go follow the auction and help raise funds for a very deserving family.